Good. 0300048653 ALL BOOKS SHIPPED WITHIN 1 DAY OF PURCHASE! Good in good dust jacket. A few small marks to the page edges. Good condition is defined as: a copy that has been read but remains in clean condition. All of the pages are intact and the cover is intact and the spine may show signs of wear. The book may have minor markings which are not specifically mentioned. Most items will be dispatched the same or the next working day. Very Good. 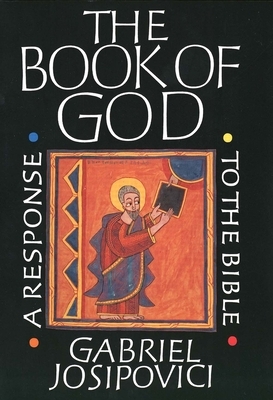 The Book of God: A Response to the Bible by Josipovici, Gabriel, 1990-10-24. Trade paperback (US). Glued binding. 365 p. Contains: Illustrations, black & white. Good. The Book of God: A Response to the Bible by Josipovici, Gabriel, 1990-10-24. Trade paperback (US). Glued binding. 365 p. Contains: Illustrations, black & white. Good. Book Has some light general reading/shelfwear-otherwise this is a clean, tight copy. Dispatch within 24hrs from the UK.